Carl Hutzler demonstrates a clock made by Paul Chase to Congressman Mark Takano at the Capitol Hill Maker Faire that took place on June 12 in Washington D.C.
Nova Labs hit the road in June with maker demonstrations at the Capitol Hill Maker Faire. Further afield, team leads Jeanne Marshall and Jennyfer Peterson represented Nova Labs at the first annual Nation of Makers Conference. Jeanne and Jennyfer will share stories from NomCon at the upcoming member meeting. Tae Edell is winding up her work at the front desk kiosk to pursue new opportunities with the Smithsonian. Since she starting working here last year, Tae has been a fantastic brand ambassador for Nova Labs. Tae consistently provided a warm welcome, always ready to lend a hand and answer questions. Behind the scenes, Tae kept things running with grace and creative solutions. Tae’s last day is Friday, July 6. After that, you may still find Tae here, from time to time, working on her own maker projects, contributing pro bono on Empower2Make, and, training her replacement – currently Nova Labs is recruiting. Be sure to stop by this week to congratulate Tae on her new venture and to thank her for her many contributions. 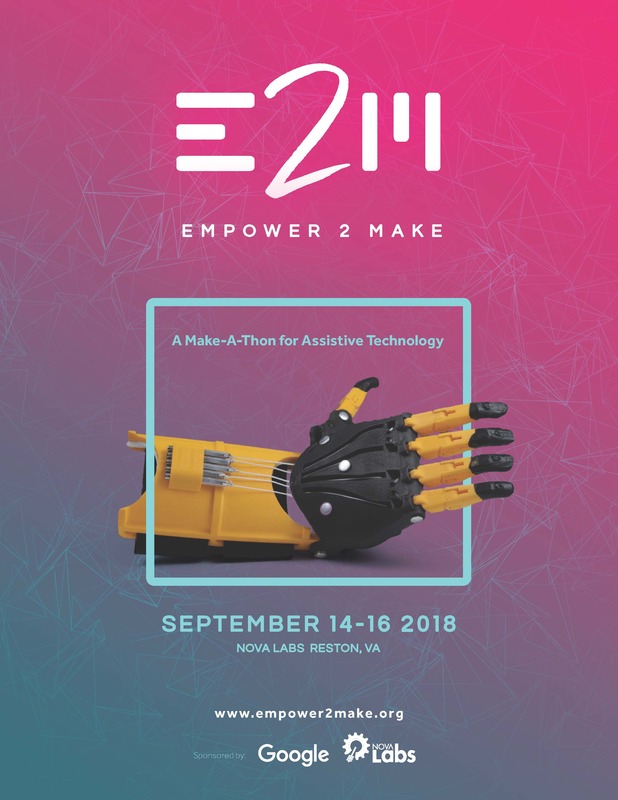 The Empower2Make launch party is coming July 11! The woodshop is humming with summer projects, a class lineup with a mix of old favorites and new offerings, and a new wood lathe. For the youth, there are a variety of summer workshops offered. This month, the board approved one new key member and reviewed MakerFaire Nova finances. The 2018 MakerFair Nova was a great success in and of itself, but it also brought in over $13k in net revenue! The board also approved a budget for a new commercial water heater for the makerspace to replace the broken unit. Furthermore, the board approved a measure to allow Physical Security Interest Group classes. This allows lock-related classes to be taught at Nova Labs by a licensed locksmith under the auspices of TOOOL US guidelines. In addition, the board spoke with both Jennyfer Peterson and Jeanne Marshall about their trip to NOMCon (Nation of Makers Convention) to gain insights into the state of the American maker community, best practices, and creative solutions to common problems. Nova Labs is looking for a customer service superstar who makes everyone feel welcome, assists with communications and membership tasks, and helps classes run smoothly at the makerspace. This is part time position of 20-30 hours per week; includes some weekday evenings and weekends. We’re opening Orange Bay to host the launch party for the upcoming Empower2make event. The 72 hour make-a-thon to develop assistive technology takes place Sep 14-16. All are welcome celebrate the kick-off of this Nova Labs banner event and share a meal with our close maker community. Meet participants, explore examples of developed products in action, and find out how to get involved. Prospective makers, knowers, partner sponsors, and their families are welcome to attend to see if the event sparks your interest. NOVA Labs and Maker Faire NoVa attended the Capitol Hill Maker Faire on June 12 in the Rayburn House Office Building. 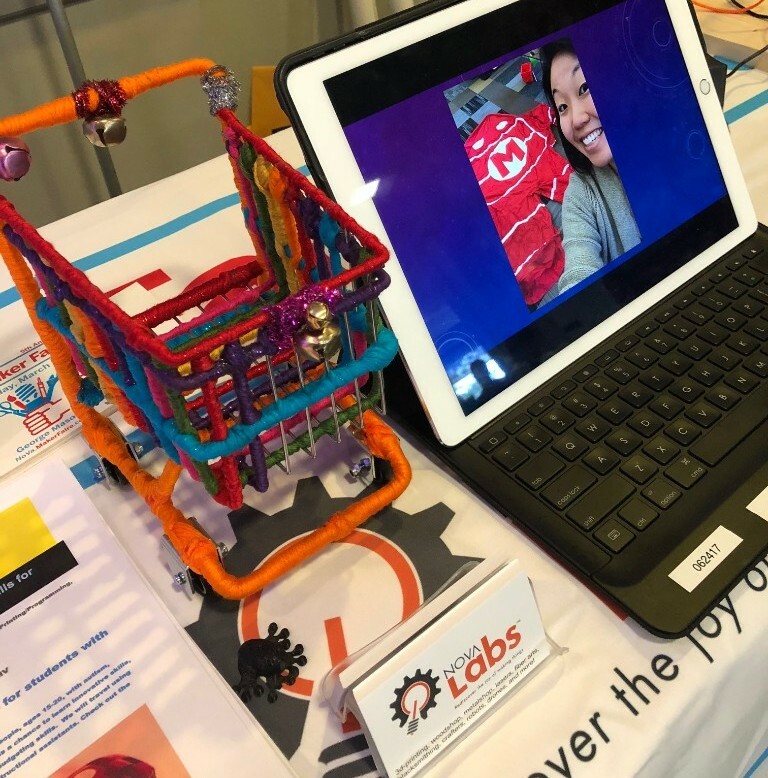 We exhibited many maker-inspired items from the NOVA Labs community and helped spread awareness of the 6th Annual Maker Faire NoVa coming up in June 2019. We were excited to have the Chairman of the House Maker Caucus, Mr. Mark Takano (D-California), stop by for a tutorial on the 3D printed clock created by Paul Chase. Mr. Takano, as well as Capitol Hill legislators and guests, signed the clock, which will be exhibited at NOVA Labs. 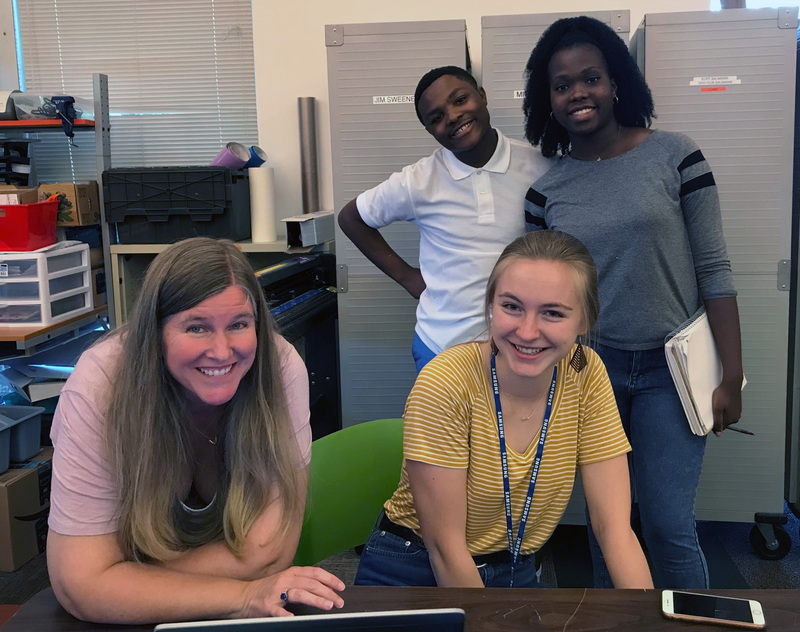 Nova Labs partnered with Eric Duer at STEMSKILLS to host the first week of the Summer Maker Skills Camp for High School Students with Learning Challenges. The focus of this week was on job exploration and technology skills with the goal to build confidence through developing workplace skills. Emphasis was placed on specific skills that the kids could continue to explore on their home computers. 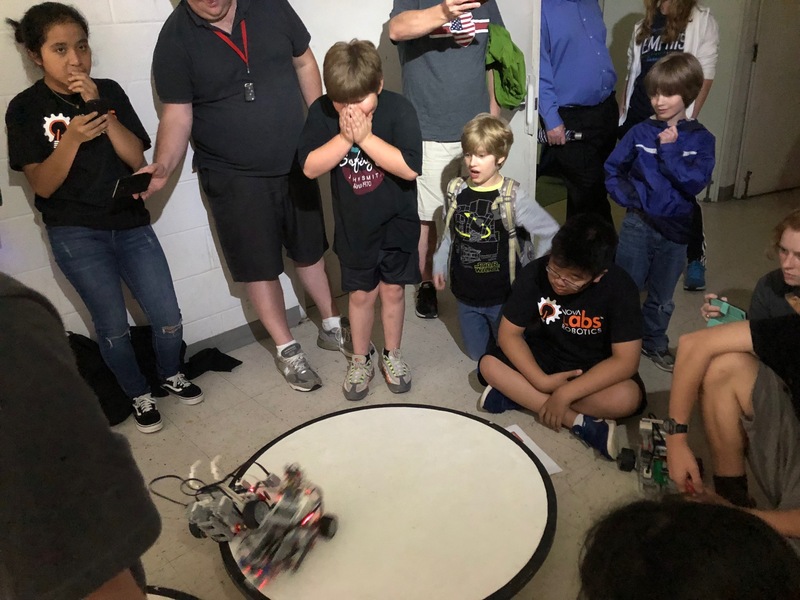 Pulling from the knowledgeable Nova Labs maker community and using our facilities, the students were introduced to Arduino and programming, laser cutting, woodworking tools and glue ups, drones, t-shirt making using the silhouette/heat press, and soldering. The six kids had various learning differences, but our maker volunteers rose to the challenge! Special thanks to Jennyfer Peterson, Bryce Peterson, Curt Welch, Nick Carter, Bob Coggeshall, Susan Parsons, and our wonderful summer interns, Annie Morgan and Ella Parsons. 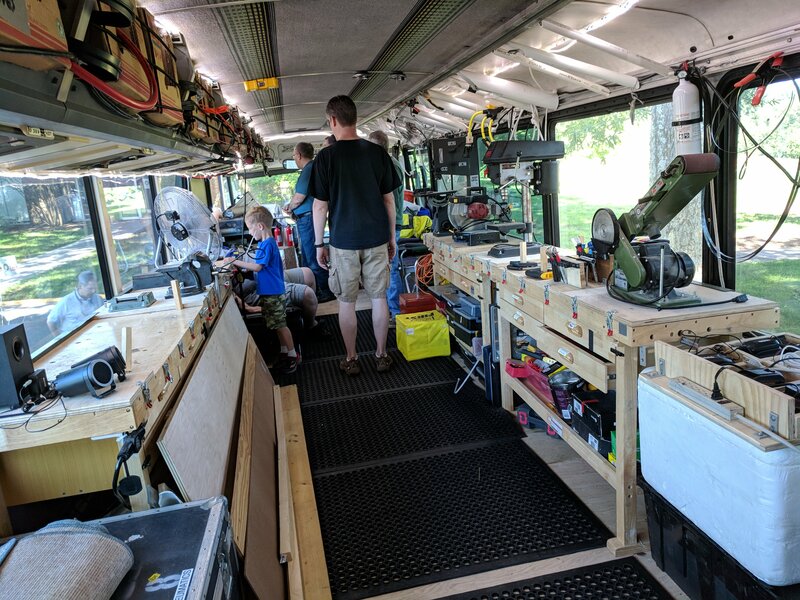 This month, the FIRST Robotics Team 1123 brought their unique mobile workshop created from a former Greyhound bus to visit. In it there are tools, workbenches, etc. to aid in their robotic efforts. They brought their bus to the Nova Labs Robotic Interest Group free monthly meetup. Meetup members got a tour of this amazing bus and asked questions. This was clearly one of the “biggest” show-and-tell projects ever seen in Nova Labs history! The Nova Labs Woodturning Program provides members with formal training in wood lathe safety, spindle turning, and bowl turning techniques. In addition to formal training, members have access to experienced turners who perform demonstrations of advanced techniques and provide mentoring when members are working on their individual woodturning projects. Finally, the program offers project-oriented classes where members can turn things to help them get started…like a pen, an ornament, a tool handle, or a rolling pin. Members have access to lathe tools and accessories, sharpening equipment, and three different lathes – a mini-lathe suitable for turning pens and small bowls and two full-sized lathes capable of turning anything from a very small toothpick up to a 16″ bowl, a 44″ baseball bat, or a small lawn totem. The most recent addition to the lathe fleet is a Nova Galaxi DVR lathe. This lathe is manufactured in New Zealand (home of some really amazing woodturners!) and has numerous features that make it well-suited to Nova Labs – the similarity in names is just a happy coincidence! The Galaxi weighs in at 436 lbs. providing a rock-solid turning platform for larger and more complex projects. The direct-drive motor uses 2 HP of tiger-blood infused power and a computer-controlled motor management system to provide an exceptional user experience. A turner can vary the speed continuously from 100-5000 rpm at the turn of a knob without switching pulleys and belts. The motor speed-control also helps the lathe maintain the selected speed regardless of load and can even detect a “catch” and shut off power instantly if one occurs. In order to use the Galaxi, previously certified members will be asked to participate in a short familiarization session, which can be provided an ad-hoc basis for free by Frank, Rick, Mike, or Zack. New Lathe 101 classes will include this information. The Galaxi will be placed in service during the week of 6/18/2018. Notification of readiness to use will be provided on the Nova public web site as well as the Nova Labs slack woodworking channel. What are you making this summer? We are making cutting boards & slab tables at Nova Labs. Nova Labs is offering two premier woodworking classes at the premier makerspace in the DMV area. If you have ever wanted to learn woodworking from tree-to-furniture, this is the time to do it! Farm to table? We are gonna do tree-to-table! 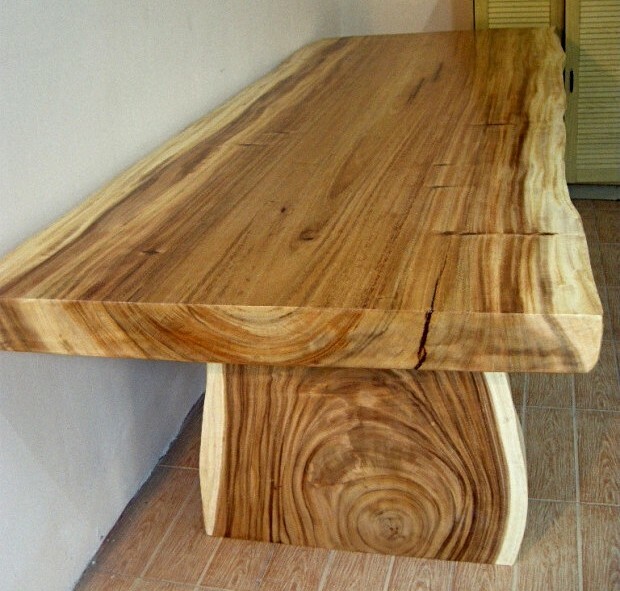 Learn to turn a massive slab of wood into a functional piece of furniture! In this class we will learn all about SLABS! Featuring a field trip to a local supplier, Local Wood of Leesburg/Berryville VA, students will learn all about how slabs are milled, dried and made ready for market. Students will purchase slabs, then flatten and prep their slab for finishing. Students can design and build wood bases during class time, or purchase pre-made legs. Consider this a build-a-long: you get access to the tools, expertise and guidance of an experienced woodworking instructor. Make butterfly keys, discuss epoxy pours, discuss (and if it’s a nice day, actually spray) spray and oil-based finishes. This is the PREMIER WOODWORKING CLASS of Summer 2018. Sign up at Meet Up to attend this great class! Plus, you can attend the Day 1 Session for only $10! Have you ever wanted to learn woodworking, but didn’t know where to start? In this course, build a beautiful wood cutting board while learning the ins-and-outs of the major woodworking machines in the woodshop. We learn the basics about makerspaces, hardwood vs. softwood, shop safety, milling dimensioning and more. This is a popular class, offered quarterly…in fact, it might already be full! Learn to use the SawStop Table Saw, Jointer, Planer, Miter Saw, Band Saw, Disk/Belt Sander, Oscillating Sander, Drill Press, Small Band Saw, Scroll Saw – every tool except the lathe and the kitchen sink! Build and code a robot to solve increasingly complex challenges. Kids will get to bring their strategies to life with servos, sensors and LEGO EV3 Mindstorms. Students will learn how to build their own drone from scratch, which they will keep at the end of the session. Taught by a Drone Prototype Product Developer and university professor, this intensive workshop designed for students who want a deeper understanding of how to assemble, program, and operate drones. Have a passion for woodworking, but very little space? This series will cover building shop furniture, using and maintaining hand tools, and working in a small space. With these skills and some inexpensive tools, you can build a tiny woodshop of your very own.